Details have been released of the 2019 Yamaha WR450F and there are lots of new features aimed at making the bike as adaptable as possible. 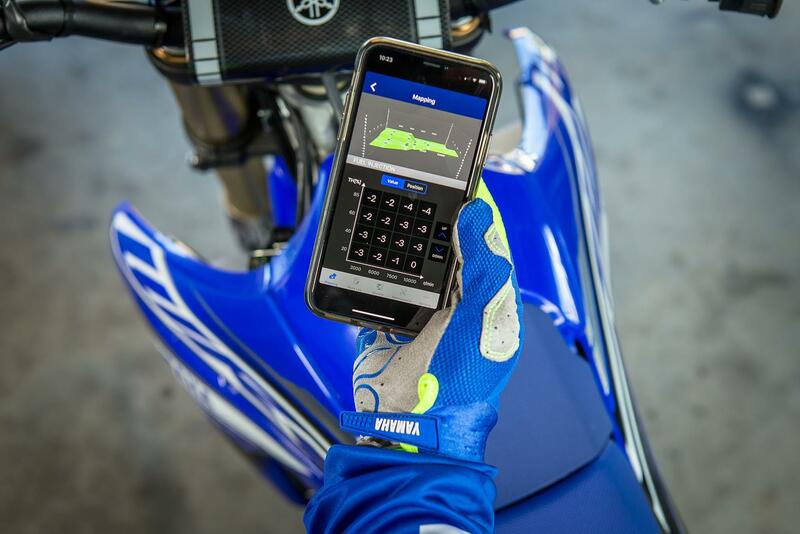 The engine is all-new, as is the YZ450F-based bilateral beam frame, but the most interesting feature is adaptable engine mapping you can control from your phone. If you add the race kit, you can use a free smartphone app to change the bike’s engine mapping to suit the specific track and conditions you are riding. The Yamaha Power Tuner app also logs race data and monitors a range of other parameters such as engine run time and service scheduling. Even without the race kit, a button on the bike’s handlebars allows you to switch between two different riding modes on the move so the engine’s power delivery can be adapted to changing conditions. Yamaha have also given the WR450F a new MX-GP inspired reverse cylinder head engine to optimise mass centralisation. Using the full 450cc capacity for the first time, the new WR promises to be faster and more powerful than its predecessor. The engine is also mean to be tougher than before, allowing it to run harder for longer. To enable riders to do that, the fuel tank has also been enlarged to 7.9 litres. The extra volume has been added low down, towards the centre of the bike which further aids mass centralisation. There’s no word on price yet, but the 2019 Yamaha WR450F will be available through Yamaha dealers from October, 2018.